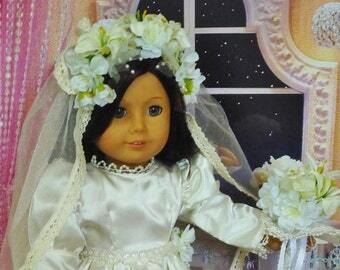 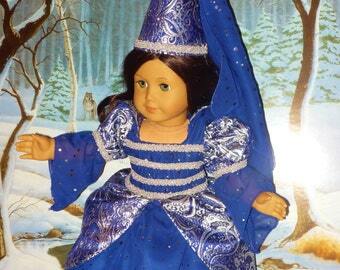 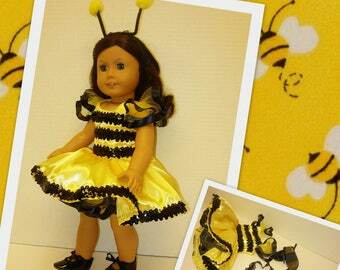 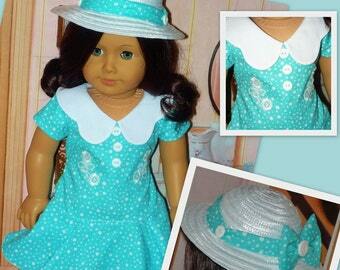 Welcome Easter and spring with this brightly colored dress and decorated hat for your American Girl Doll!. 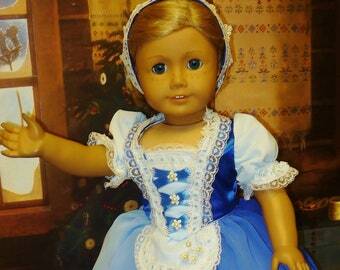 The dress is fashioned from a combination of colorful plaid (pink, blue,green, orange, white) and pink cotton. 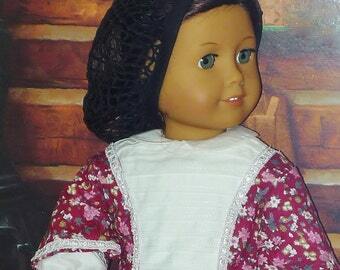 The cuffs and collar are trimmed in lime green piping which compliments the lime green buttons closing the dress in back. 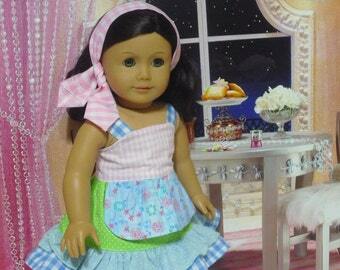 The dress has a solid pink bodice and is fully lined in pink cotton. 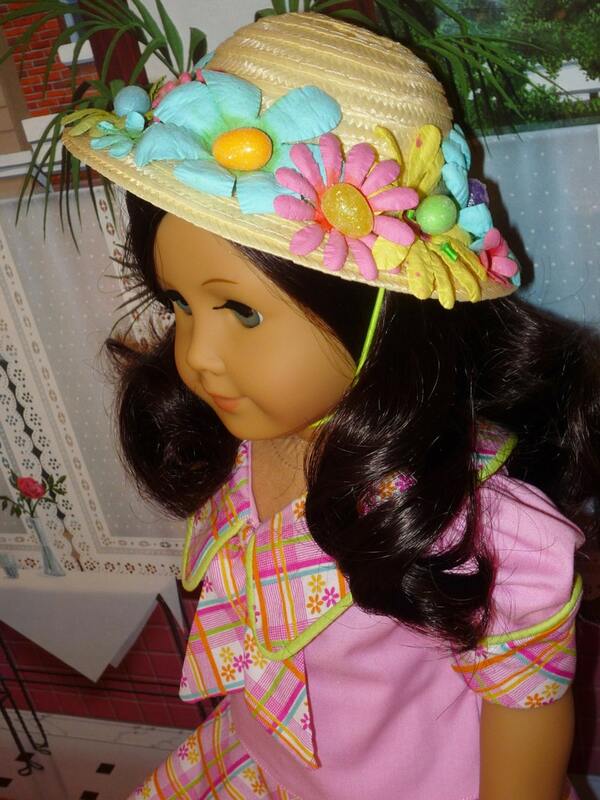 The straw hat is trimmed with colorful flowers and "faux" sparkling Easter eggs. 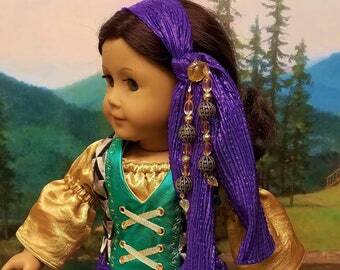 The hat has a bright green elastic band to hold the hat securely on the doll's head. 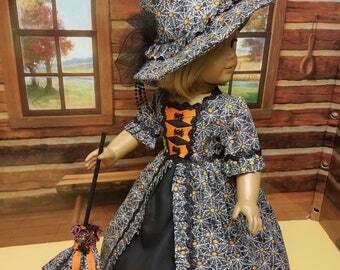 A modified pattern from Keeper Dolly Duds Designs was used to construct the dress.